The problem was not missiles; the problem was time. When grappling with a complex and multi-faceted problem, it is often best to distill the problem, or related problems, down to their root cause and establish the overarching problem. The United States military, for example, does this at three levels when planning an operation. They examine the strategic, operational, and the tactical problems. Once clearly and concisely identified, the efforts to develop solutions center around what is then called the problem statement. 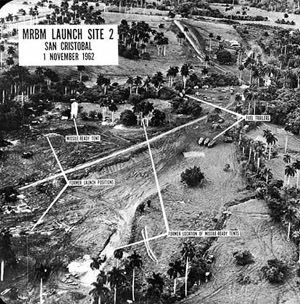 During the Cuban Missile Crisis, the problem was time. Looking with hindsight at the actions of American President John F. Kennedy and Soviet Chairman Nikita S. Khrushchev it is readily apparent that neither wanted war. Through hindsight, it is apparent that both were acting in defense of their nations’ interests and were positioning themselves in the world forum of international diplomacy. Only in hindsight can some sense be made of the tremendous risks taken by both countries. Looking into the crisis, however, the risks and the tension become overwhelming. The American generals wanted war. The American Congress wanted war. The President and his Executive Committee of the National Security Council initially wanted war. Khrushchev wanted to support a new Communist ally. Castro ultimately showed his willingness to become a martyr. The United Nations demonstrated its feebleness to bring resolution to the conflict. All of these pressures were exerted in the midst of inaccurate intelligence, terrible communication, and overestimation of martial ability. There was too much at stake to risk a failure using normal diplomacy. Normal solutions to international conflict took too long to develop and enact. With the prospect of nuclear war, normal was too risky. This paper seeks to address the problems in communication, the risks of miscommunication and misunderstanding all in light of the tremendous pressure of compressed time. This paper analyzes the key exchanges between President Kennedy and Chairman Khrushchev; acting Secretary-General U Thant and all belligerents; the President and his men; the Chairman and Prime Minster Castro; the commanders-in-chief and their generals; as well as the ambassadors, spies, and other secondary participants. The entire crisis was constrained by time – particularly the time it took to exchange information and conduct dialogue. In the twenty-first century’s Information Age it is incomprehensible that it could take twelve hours to send a ten page letter to its recipient half a world away. With the responsibility and risks related to nuclear warfare it seems criminal that a communications gap could trigger a nuclear event. In 1962, it was precisely a communications gap that nearly triggered a nuclear war. This highlights what would become the Soviet Union’s official stance with regard to weapons in Cuba. They intentionally side-stepped the issue regarding “offensive” or “defensive” weapons by claiming that they were simply supporting Cuba’s defensive capabilities. The Soviets did not deny weaponry and assistance sent to Cuba, while they expressed concern about the aggressive acts of and the threat represented by the United States. In this manner, they remained confident that they were being diplomatically forthcoming while continuing their rhetoric against the aggression of the United States. 1McGeorge Bundy, Danger and Survival: Choices About the Bomb in the First Fifty Years (New York: Vintage Books, 1990) 391 and Stern, The Week the World Stood Still, 38. 2Until 28 October, Washington, DC was at Daylight Savings Time(DST) (Greenwich Mean Time (GMT) – 4:00); on the 28th Washington, DC transitioned to Eastern Standard Time (GMT – 5:00); Moscow was at GMT + 3:00 throughout the crisis. 3Aleksandr Fursenko and Timothy Naftali, One Hell of A Gamble: Khrushchev, Castro, and Kennedy 1958-1864 (New York: W.W. Norton and Company, 1997) 234 and Bundy, Danger and Survival, 395. 4United States Marine Corps Emergency Actions Center, 15 October 1962 “Summary of Items of Significant Interest Period 140701 - 150700 October 1962” Originally Top Secret (Washington, DC: National Security Archives at George Washington University), DNSA Number: CC00608 http://nsarchive.chadwyck.com, 2 pp. 5United States Marine Corps Emergency Actions Center, 18 October 1962 “Summary of Items of Significant Interest Period 170701-180700 October 1962” Originally Top Secret (Washington, DC: National Security Archives at George Washington University), DNSA Number: CC00673 http://nsarchive.chadwyck.com, 3 pp.